Pets are a lifetime commitment and your pet depends on you to ensure that they are happy, healthy and loved. Before making a decision to give up your pet, we ask that you explore every other alternative first. The shelter should be used as last resort when trying to find your pet a new home. The Charlottesville-Albemarle SPCA can ONLY accept pets who live in Charlottesville or Albemarle County. If after pursuing alternative re-homing methods you still do not have placement for your animal, you may complete the surrender profile at the bottom of this page. As there is a wait list to surrender animals to the CASPCA, it is not an immediate solution. The CASPCA will provide temporary assistance to individuals in need that are experiencing financial difficulties and are unable to afford pet food. Thanks to the donations of others, the CASPCA can provide pet food to individuals in need of short-term help. To request such assistance, email info@cascpa.org, briefly explaining your situation and the number of pets that you own. You may be required to provide proof of rabies, or our clinic staff may administer the vaccine on-site. If you are experiencing behavior problems with your pet, we may be able to help. Staff and volunteers are able to discuss a variety of issues. Please email info@caspca.org and include a detailed description of your pet’s behavioral history. Many behavior problems require direct observation by a professional. We are happy to recommend the appropriate animal behavior professional best suited to your needs. Click here to find a pet friendly rentals. Spay/neutering your pet has many health and behavioral benefits and will help prevent homeless animals in our community. Make sure your pet is spayed and neutered and up to date on its vaccines, so a new adopter isn’t hit with costs. Take photos and videos of your pet. Write a short paragraph describing your pet and the type of home that would be a good fit for him/her. Share the above information with family, friends, and neighbors or post on Facebook. 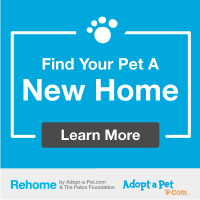 Tell them why you must find your pet a new home. We are currently undergoing kennel renovations and have very limited housing for dogs. As a result, there may be a delay in our ability to take large dog surrenders. The Charlottesville-Albemarle SPCA can ONLY accept pets who live in Charlottesville or Albemarle County. Surrendering your pet to the SPCA may be very traumatic for your pet, is not a quick process, and should be a last resort. To ensure that you are given the time and attention you deserve and that we have the space and accommodations your pet deserves, please make an appointment by filling out the online surrender profile and a staff member will contact you as soon as possible. Animals are accepted by appointment only, and appointments last approximately 30 minutes. For urgent cases, please DO NOT submit the online surrender profile and instead call the CASPCA’s front desk at (434) 973-5959 ext. 1.